The millennial generation, or Generation Y as they are often called, is the next largest group of expected homebuyers. Today, millennials range from 18- to 34-years-old and nearly 13 percent hope to buy homes this year. Of that group, there are nearly 43 million prospective buyers in the 25-34 age range. When only 12 percent of the greater U.S. population plans to buy in 2015, this confidence among millennials makes them the prime buying demographic. While we often hear the housing market has been particularly rough on millennials with rents higher than ever before and wages stagnant, the truth is, millennials accounted for 32% of home purchases in 2014 according to the 2015 National Association of Realtors® Generational Survey. What makes it tough for Generation Y buyers is their ability to find a home they really want as well as the challenge to save enough for a down payment. Across the country, it takes about two years for the costs of renting to break even with the costs of buying a home. So, if millennials plan to live in one location for at least two years, it’s typically cost-effective to buy rather than rent at such expensive rates. Of course, that depends on the location. Fortunately, many areas are affordable for millennials to buy. The trouble is that many millennials hope to live near their jobs in booming city centers such as Los Angeles, New York City, San Francisco or Seattle. Yet, home prices along the coasts are the steepest in the country…rents are too. However, a recent study of the cost of for-sale homes across the country and the percentage of homes a millennial would realistically be able to afford were evaluated. The results were surprising. Are Millennial Home Buyers Purchasing Homes? The research considered the median income of young professionals in each metro, assuming they would apply 5 percent down on a home purchase and could afford a mortgage of 30 percent of their income. The conclusion was that millennials can afford 70 percent of the homes on the market in the U.S., but specific locations are far more affordable than others. For instance, millennials shopping for homes in Los Angeles, CA can only afford 25.5 percent of the inventory but shopping in New York City frees up 46 percent of the available homes. Other popular markets for young professionals include San Francisco where homes are less affordable at just 35.5 percent affordability, or Seattle with a surprising 63 percent of inventory within budget. 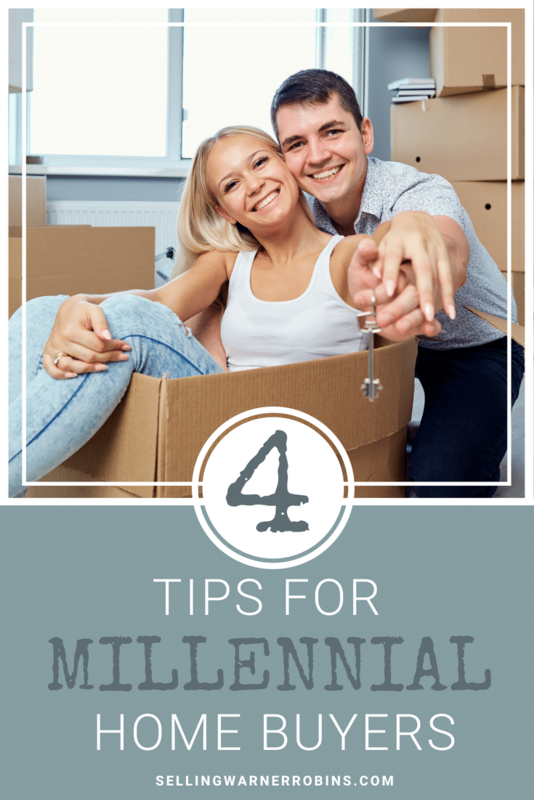 If you’re in the 18-34 age range, the tips for millennial homebuyers below will help make your search easier and hopefully help you find the right property. Millennials eager to jump into the housing market should shop in affordable locations where inventory is high. The higher the inventory, the more negotiating power buyers have and the less competition first-time buyers face. Even smaller locales like Warner Robins Georgia or even Mason Ohio present good opportunities for new home buyers. Whatever your reason for wanting to buy a home, in any market, there are plenty of quality properties available to suit millennial functionality and style needs while not breaking the bank. You should also clean up your debt as best as possible to prepare to acquire a loan with favorable terms. The sooner you take action on high interest debts, the higher the likelihood of acquiring a loan with a low interest rate, saving you money long term. The last thing you want is to overspend and purchase a home you cannot afford. In fact, access to mortgages is now the toughest it has been since 2012, at the bottom of the market, so it is in your best interest to align your finances before applying for a loan. Also review your credit report, clearing as many issues as possible before attempting to get a loan. Lenders review buyers’ debt-to-income (DTI) ratios to determine whether you are financially capable of paying back a sizable loan. Calculate DTI by adding your total monthly debt payments and dividing it by your gross monthly income. For conventional loans, lenders look for DTI ratios to not exceed 43 percent. To increase the chances of sellers accepting your offer, bring as much cash to the table as possible. Although many popular loan types require just 5 percent down, or even zero money down, sellers tend to lean toward stable offers that are less likely to fall through. Those options typically include greater cash toward the down payment. Down payment savings are harder than ever with rent prices absorbing about 30 percent of renters’ income. Save your tax returns, work bonuses, get a second job, and receive gift money to scrounge up the cash. Ease the stress that can burden you when it is time to close on a home by cleaning up your finances for a smooth purchase. If you are accepting gift money toward your down payment, make sure you have a paper trail of the transaction and complete any necessary paperwork for your lender, such as a gift letter. Do not apply for any new lines of credit during the time period you are shopping for a home so you do not have to explain each credit check on your record. Compile any pay stubs your lender might need and avoid changing jobs during the buying process. You will need to provide a lot of financial information quickly and anything out of the ordinary will require extra explanation. For smooth financing, set yourself up by fostering a clean profile. All of these details help buyers shopping for homes, and millennials especially benefit from starting their searches in locations where affordability is possible. With over 31% making more than $100K, according to the NAR Generational Survey, millennial home buyers are in a favorable position to dominate the local and national real estate landscape for years to come. 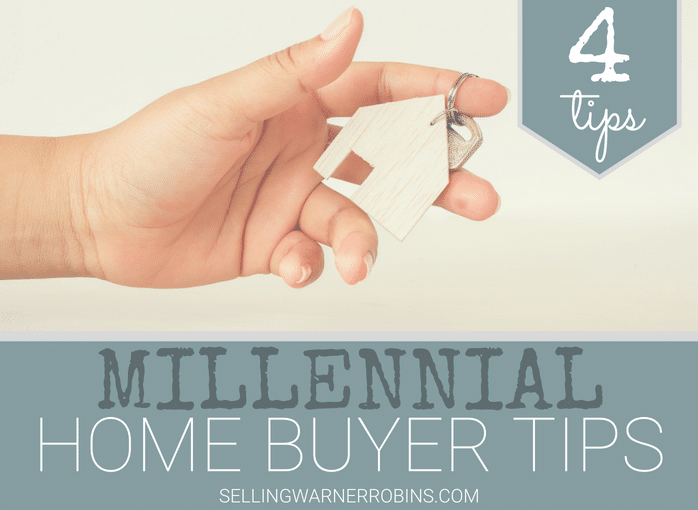 If you found this article on 4 Tips for Millennial Homebuyers helpful, please consider sharing it via social media outlets so others can benefit from the information too. Thank you to Tali Wee for graciously sharing her expertise on this article on millennial home-buyer tips! For many years I worked in the financial services sector helping Financial Planners (Financial Advisors and Money Managers) grow their business. The past 4 years or so there has been HEAVY emphasis on the GenY group of financial advisors (and their clients). I’m still brand spanking new to the Real Estate field, and have NOT noticed this same enthusiasm in the Real Estate industry so I was especially happy to see your Blog post.